The final Greyhound bus in Alberta travelled from Calgary to Edmonton Wednesday evening. After 89 years of service, the iconic transportation company is ending its service in Western Canada. It was dusky in Calgary as Alberta's last ever Greyhound lurched out of the 16th Street terminal. On the bus, the subdued chatter — in English, Arabic, Cantonese — is heard as the coach grows dark. But back at the station was a celebration of sorts, a bittersweet one. After 89 years of service, the iconic transportation company was ending its service in Western Canada with the 6 p.m. bus to Edmonton. 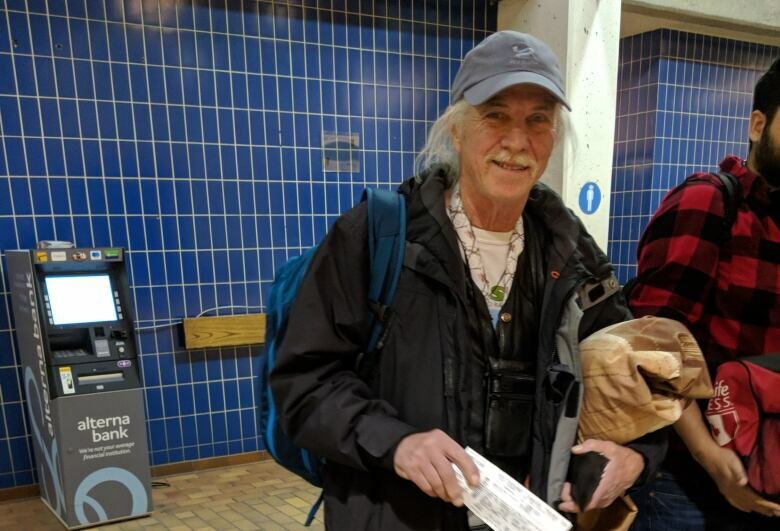 The Calgary Greyhound station was emptying — no more cafe, no more vending machines and, soon, no more employees — as a congregation of current and former workers had come, many with cameras, to fete this final voyage. It felt like we, the passengers, were intruding on a retirement party — lots of handshakes and inside jokes. Karamjeet Singh told me she'd been laid off May 30, but she just had to come. "I call this my Greyhound family," she said, fighting tears. "This is like my home." Ron, Greg and Robert Labine had come as well. They're all former Greyhound employees and, to their knowledge, the only trio of brothers to drive for the company simultaneously. "We were really a family. 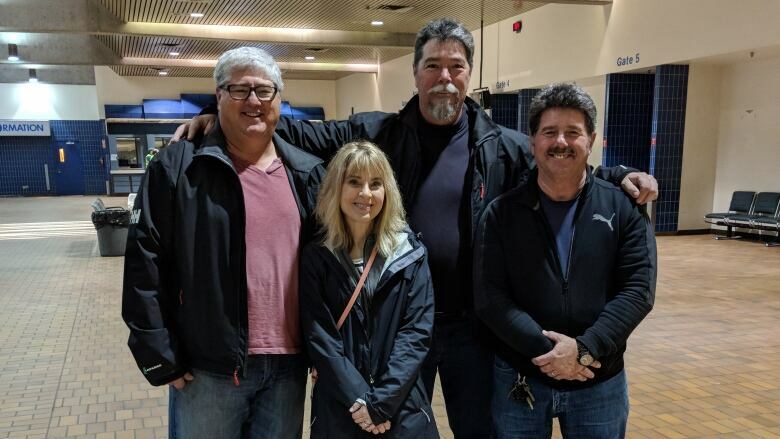 We had camaraderie that I've never experienced anywhere else and I've built friendships that last to [this] day," said Ron Labine, who drove for Greyhound between 1993 and 2007. "We really tied the communities together. We had instances where people in vehicle accidents lost use of their vehicles; they were getting on the bus with what was left of their belongings. "To people that had no other means of travel: Should you end up in a town like Golden, how are you going to leave Golden today? Are you going to go out and hitchhike?" Ron's brother Greg, a driver from 1993 to 2009, adds that Greyhound didn't just ferry people around Alberta, it carried freight, too. "Especially during harvest time if you need that part for the harvester right away, you threw it on the Greyhound and you knew it was going to get there," he said. Greg Labine fondly remembers driving the snowy mountain routes on his Vancouver trips. "It was funny how often people were travelling at Christmastime and the weather was getting pretty rough out there sometimes and people would say, 'Well, we were going to drive, but we thought we'd take the bus instead. The weather looks too bad,'" he recalled. "They knew the bus always made it." Diana Coroy had come to greet her husband, Carey, who was driving in from Edmonton, his last trip after 20 years with the company. "I couldn't imagine not being here for him," she said. The timing of Greyhound's demise wasn't ideal for the Coroys. "We had just purchased a home that we were building … so that was kind of upsetting at the time," she said. "He's applied at Canada Post and will be doing casual and, hopefully, pick up some permanent position there in the meantime. I'm just grateful he had a job and he has another job to go to." 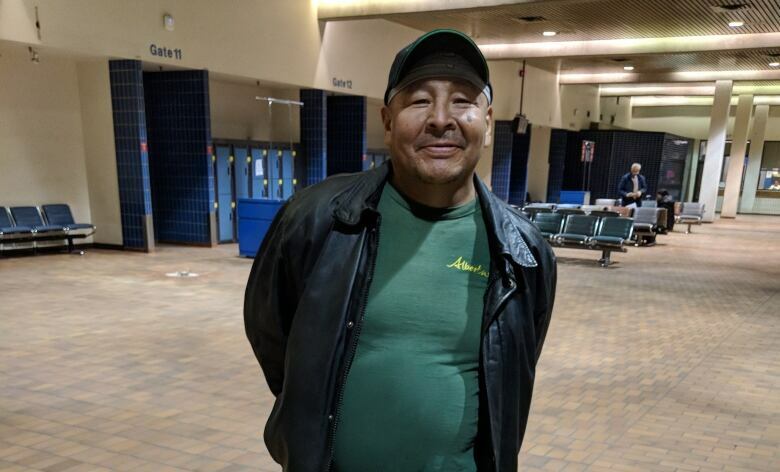 Coroy, who works full-time in mental health nursing, believes some of Alberta's vulnerable populations are losing a valuable service with Greyhound's demise. "We see a lot of patients that take Greyhound on a regular basis to B.C., to Edmonton, and those routes are now lost to these patients. A lot of people here are not really going to have anything else to go on with. "The patients would use the Greyhound because it was financially doable for them. They're on AISH. They don't get a lot of income. So this was their way of travelling." The riders on this final Alberta bus will need to make new arrangements as well. About 30 boarded in Calgary, and maybe a third trickled out in Red Deer. The passengers had been working in Banff and were going home to Wetaskiwin. Others were visiting family in Edmonton. They were holidaying from the Philippines. Another was going home after visiting parents in Calgary. Many of them didn't know until today that Greyhound was shutting down. 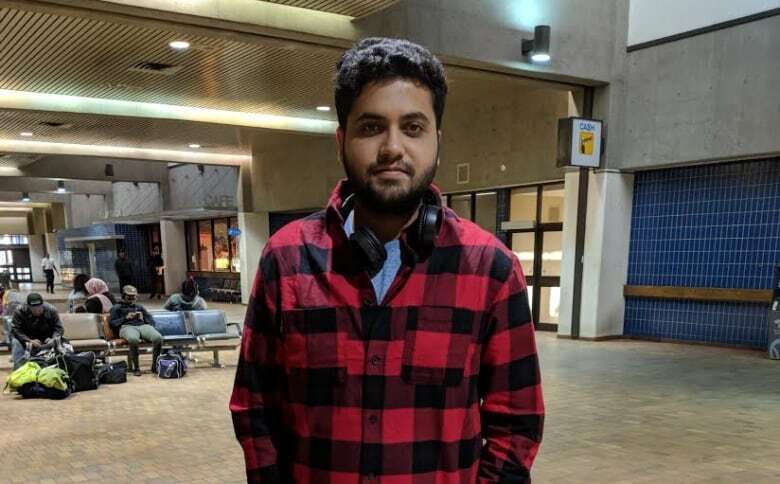 Aaryan Khurana has been taking the Greyhound every week from his home in Edmonton to Calgary, where he studies business at Bow Valley College. "It's going to get difficult," he said. "I don't want to transfer my credits right now because it's my last semester. There are other substitutes, but they're like, double the price. So, we have to manage. We have to find a way." My ticket from Calgary to Edmonton was $32. The Red Arrow bus service between the two cities on the other hand puts you back $76 — more than double. 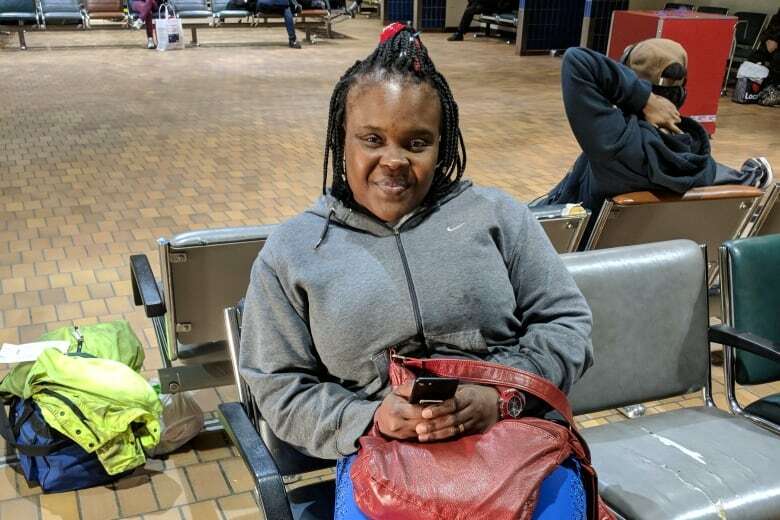 Rashieda Nicodemus moved to Canada from the Philippines seven months ago. 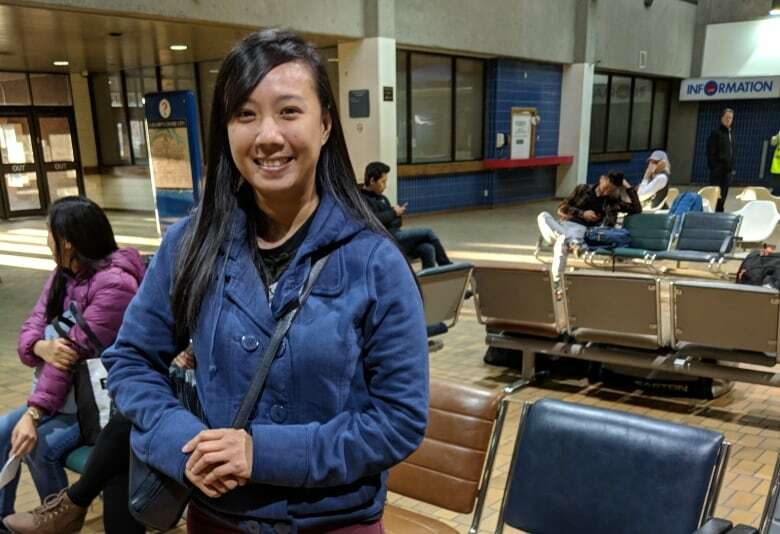 She has been taking the bus every month to visit her parents in Calgary. "It's really nice, so it's sad knowing that it would be the last one that they're going to have," she said. This was Ebele Ibelo's very first time on a Greyhound bus. She had no idea it was the last one, as she booked online. She'll have to find alternate transportation home after visiting her brother in Edmonton. Ezra Johnson and Jonas James have been working in fire safety for Parks Canada. "I do have a vehicle," Johnson said. "It costs less [to take the bus], but I guess I'll start taking my vehicle to work from now on." Rick Olynek has come specifically to take this very last Greyhound. He estimates in his lifetime he's spent 60 full days on the bus. From his stories, I'd wager that's a low estimate. "It's the end of an era, absolutely," he says. "And a good one, too!" Ricks' Hostelling International card got him 30 per cent off his fare, allowing him to ride for about $20. Over the decades, he's crisscrossed the country on the Greyhound. "I've got lots of memories," he said. "There was a time when you could get a ticket for $99 and travel all over the States. Can you imagine the savings?" Rick tells me about the driver that would let him off on the side of the highway near his brother's place in Golden so that he wouldn't need to backtrack from the station. I tell him about the drivers that did the same for me at the the top of my street in Deep River, Ont., after taking the 10-hour milk run from Toronto. "One time I was coming out from the Coast," Rick says, "And the driver stopped and let the whole bus get out and watch the salmon go upstream." Mimi Lukas is upbeat and friendly as she takes tickets and ushers us onto the coach. "It's been a long couple of weeks," she says, "saying goodbye to people over and over." The ride home is quiet and uneventful. There's a man in a denim jacket and jeans who got on in Red Deer, one of two passengers who embarked there. He walks carefully toward the driver as we approach an off-ramp near Leduc. He asks to be let off. The driver pulls carefully to the side of Highway 2 and wishes him well. At 9:26 p.m., it starts to rain pretty hard. I hear Rick Olynek, perched in the front, say that there's wet snow, too. My phone tells me it's 1 C outside. I hate driving in this kind of weather, freezing rain. It's a relief I'm a passenger. I know the bus always makes it. 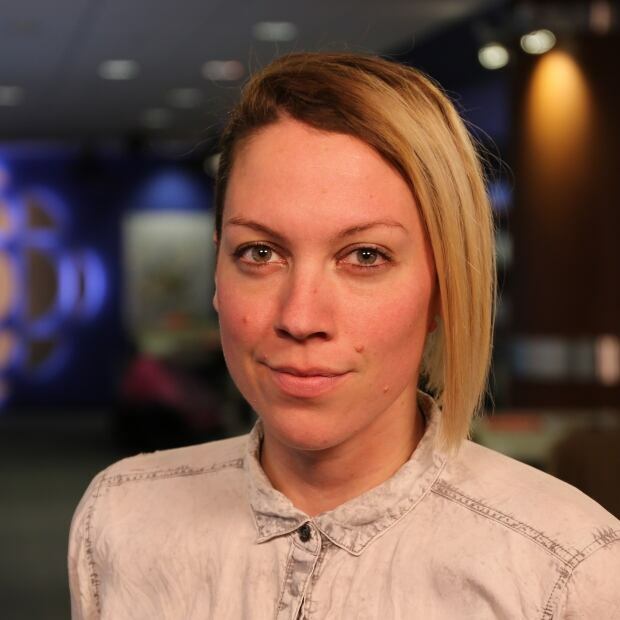 Julia Lipscombe is an associate producer for Edmonton's morning radio show, Edmonton AM. Greyhound service in Western Canada is over, now what?